Clan Munro comic strip no. 10: Look out for the shark! All the Clan Munro strips can be found on this here page. Page 11. A wretched beastly ingrate! Warning! Kitty sings on the very next page. The entire story from the beginning is located over here. Check out all the Clan Munro strips on this page. Page 10. Being kidnapped is kind of inconvenient! Back to Ben’s intensive questioning of Kitty Kitty Von Kat. Our boy is now focused and back on track! See the entire story right here. Clan Munro comic strip no. 8: That wretched cat! McTavish and Matilda have never gotten along. Why? We’ll find out in McTavish’s next blog. 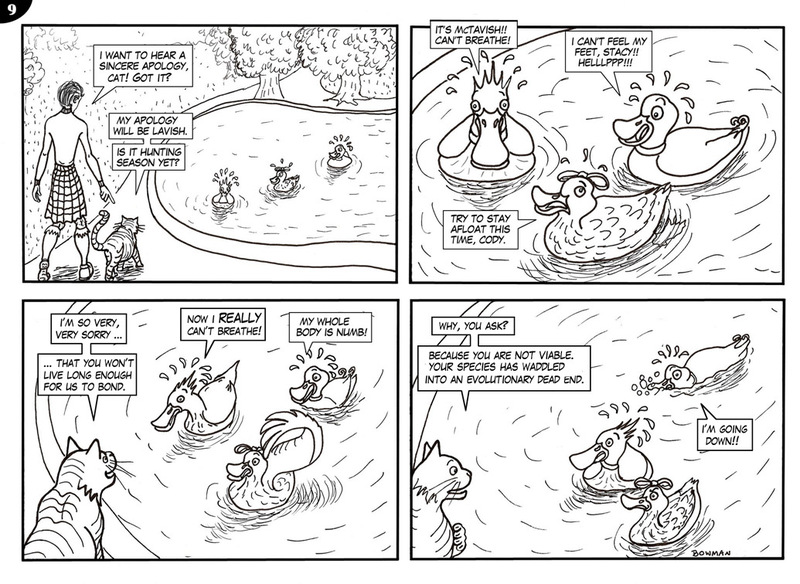 In the meantime, you can enjoy all the Clan Munro strips here. 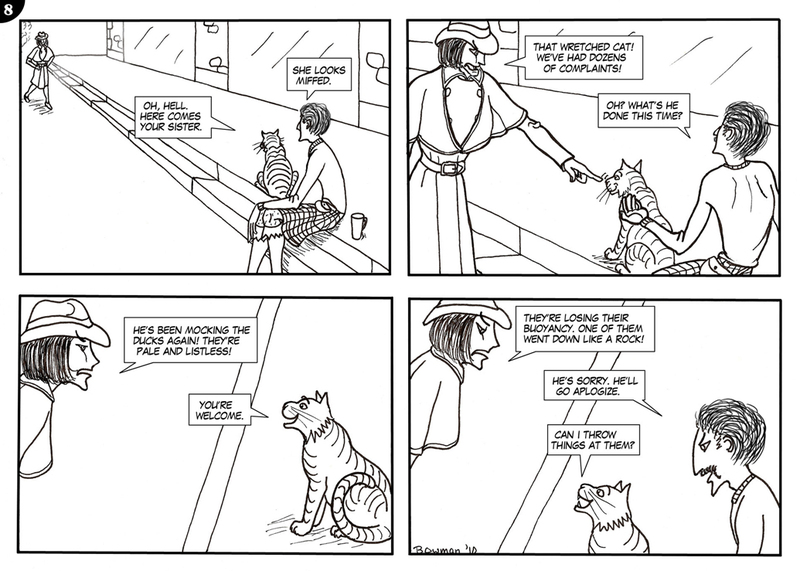 © Robyn Froese, Donna Bowman, Laurel Froese and Blue Brolly Comics, 2014-2020. Unauthorized use and/or duplication of these images and text without express and written permission from this blog’s author and/or owner is strictly prohibited. Excerpts and links may be used, provided that full and clear credit is given to Blue Brolly Comics with appropriate and specific direction to the original content.